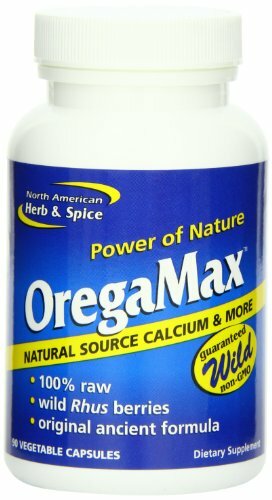 Oregamax by North American Herb Spice 90 Capsule OregaMax – 90 capsules OregaMax the original wild oregano formula supports natural mineral intake and more. This wild oregano grows directly on rock in the Mediterranean mountains making it rich in natural trace minerals. Unlike commercial oregano OregaMax is undiluted. This is the crude herb of wild high mountain Oregano in combination with Rhus Coriaria organic garlic powder and organic onion powder. It is the most potent wild oregano whole herb available. Take two or more capsules daily. For young children or pets open capsules and mix with food or drink. Great to use in combination with the the Oreganol P73 oil.